Paybyweb - Accepting Credit Cards, Merchant Accounts & More! : Selling For The Holidays? Start Accepting Credit Cards NOW! Selling For The Holidays? Start Accepting Credit Cards NOW! 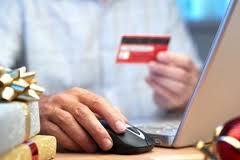 If you are preparing to sell during the Holiday Season, the time to get setup to accept credit cards is NOW! Seasoned marketing experts will tell you that you should have your preparations completed early to make sure that you are ready for the sales frenzy that occurs this month each year. PayByWeb has been providing merchant accounts, and check services to companies from Fortune 500 to start-ups, since 1992, far longer than most in the industry. Our service is second to none, and we will make sure that you have every tool in your arsenal in order to make that sale. WE PROVIDE FREE TERMINALS...YES, FREE! How do we differ from other merchant account providers? Simple! If you search merchant service providers, you find that virtually all of them require you to submit a form in order for them to contact you back with the fees you will be charged. Why do you think they do that? Perhaps they adjust the fees up/down based on your information, or what they believe they can get away with charging you? Of course! Why would anyone trust a company that does not post their fees? For every type of merchant account PayByWeb offers, our fees are clearly posted. You know what you will pay, without having to ask. That's how we save you time and we understand your time is valuable. While many merchant account companies do not provide any testimonials on their website, or require you to request them in writing, PayByWeb provides them on our site, accessible by one click from any page. We don't just enter names like R. S. or Tom. Our testimonials incude the full name and business name. More importantly, we don't have just 2 or 3. We provide dozens of testimonials and include survey results so you can see how our merchants rate our service. We can have you setup with a merchant account to accept Visa, Mastercard, Amex, and Discover in just 1 day. 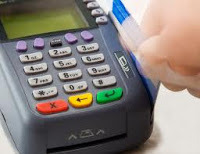 So, visit us at www.paybyweb.com and watch your Holiday Sales increase with a merchant processing company that cares about you. BTW, accept our free gift regardless of where you setup your merchant processing. Download our free guide to understanding merchant accounts.